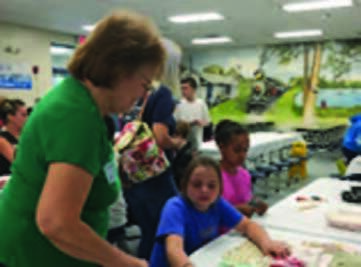 GFWC Lutz-Land O’Lakes Woman’s Club members, under the direction of Education Committee Chair Pat Wagner, again volunteered at the Annual Lutz Elementary School’s “Olden Day 2019” celebration and assisted students with various arts and crafts projects. The Woman’s Club has supported Lutz Elementary and many other schools in the community for decades through volunteerism and donations. For more information on this community service organization, please visit the website www.gfwclutzlandolakeswomansclub.org or its Facebook page.